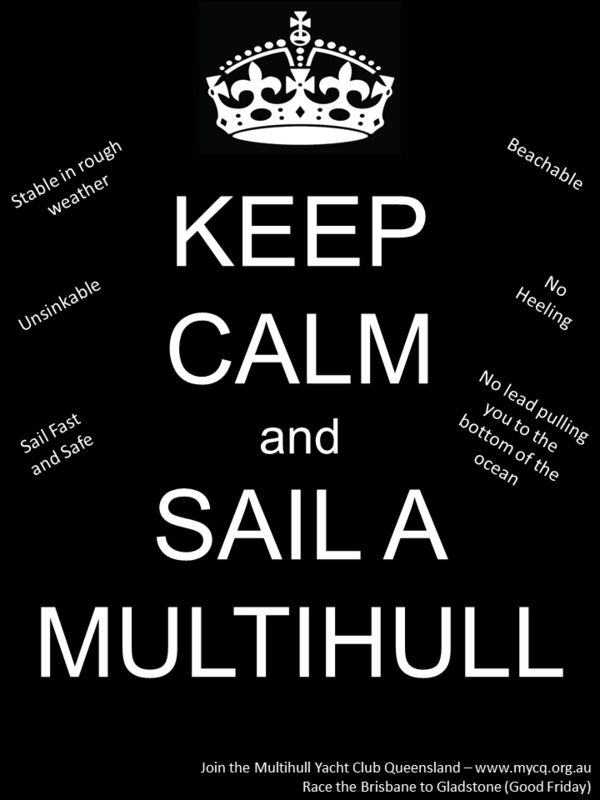 The MYCQ is Australia's premier Multihull Yacht Club. We count some very experienced sailors among our members, who have achieved many championships, titles, world voyages, Australian and even world circumnavigations. Also included in our membership are most of Australia's principal multihull designers, many builders and other people in the marine industry. This wealth of knowledge is a great asset of our club. Below are the results for the 2018 C.H. Robinson Brisbane to Gladstone. 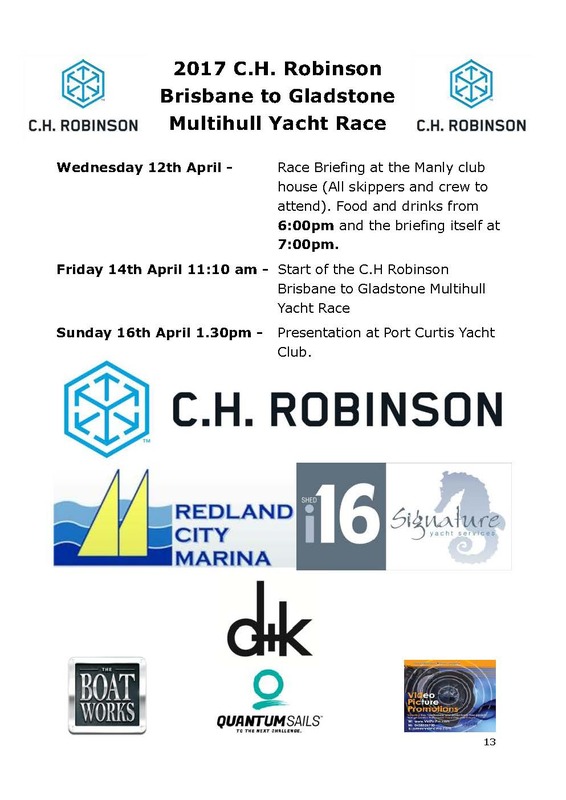 The final details for the 2018 Brisbane to Gladstone Multihull Yacht Race Entrants are now available. The Sailing Instruction for the 2018 Great Bay are now available. The 2018 race program is made up of 4 individual race series over the course of the year with 3 unique series and 5 of 8 races to count towards the Club Championship. The 2018 cruising program has a cruise event the weekend each month following the club meeting and an extended criuse at the end of the year. Australian Multihull Championships Day 1 from Chris Dewar on Vimeo. All Australian Multihull Championship Images are available. See a 20 minute video of the 2017 Brisbane to Gladstone Yacht Race, from the start to the Redcliffe Mark. Catalyst QCYC Winter Series, RACE 4 from Chris on Vimeo. Below are the results C.H. Robinson Brisbane to Gladstone. As most would be aware the Multihull Yacht Club of Queensland (MYCQ), in its role as owners and administrators of the Offshore Multihull Rating system (OMR), have been undertaking a review of the rule. Winner of the 2016 APC Logistics Brisbane to Gladstone Race for the second year (all divisions) is Morticia. Well done to all the crew again for an exceptional effort. Listen to Tony Longhurst talk about his plans for his new Extreme 40 and his desire to get the AC45s racing on the Gold Coast. The Boats Works is providing a prize to one of the 2016 Brisbane to Gladstone winners. Hamilton Island Day 3 from Julie Geldard on Vimeo. Hamilton Island Race Week Day 2 from Julie Geldard on Vimeo.